Still recovering from a mass shooting at their temple in which 11 worshippers were killed, members of the Tree of Life synagogue in Pittsburgh have launched an effort to raise money for the victims of a rampage at two mosques in New Zealand that left 50 people dead. Synagogue members started a GoFundMe campaign on Sunday, with a goal of raising $100,000 for the families of those killed and the victims wounded in Friday's attacks at the Al Noor and Linwood mosques in Christchurch. 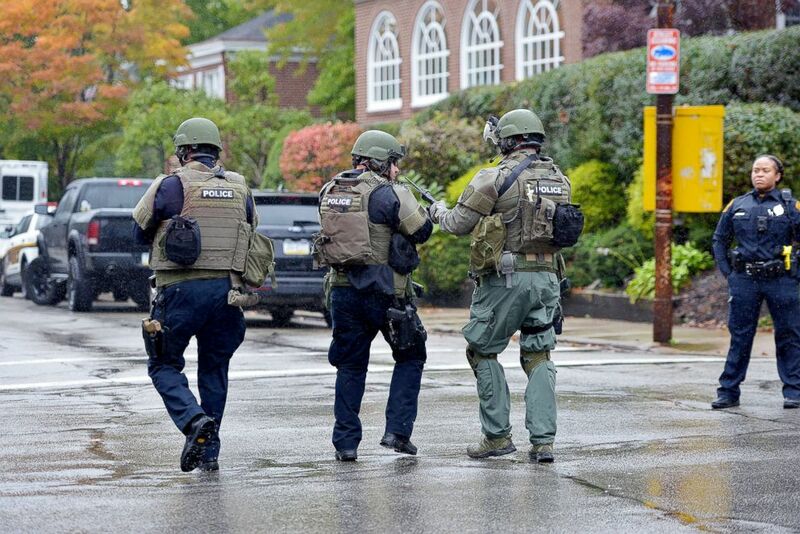 (Pam Panchak/Pittsburgh Post-Gazette via AP) Police respond to an active shooter situation at the Tree of Life synagogue in Pittsburgh, Oct. 27, 2018. "We stand beside our Muslim brothers and sisters and mourn alongside the families and friends who have lost loved ones in this unconscionable act of violence," reads a statement from the Tree of Life congregation on its GoFundMe page. "We will continue to work towards a day when all people on this planet can live together in peace and mutual respect." On Friday afternoon, a 28-year-old man described by police as a white supremacist allegedly walked into the Al Noor mosque and opened fire, killing 42 people, according to police. The attacker, identified by police as Brenton Harrison Tarrant, an Australian, then allegedly drove three miles across Christchurch to the Linwood mosque and killed eight Muslim worshippers attending a prayer service. In addition to the 50 people killed, another 50 were wounded in the two attacks. The New Zealand attack came less than five months after a gunman burst into the Tree of Life synagogue in the Squirrel Hill neighborhood of Pittsburgh and opened fire. The suspect, Robert Bowers, 46, was charged with federal hate crimes including the murder of 11 congregants at the Tree of Life. 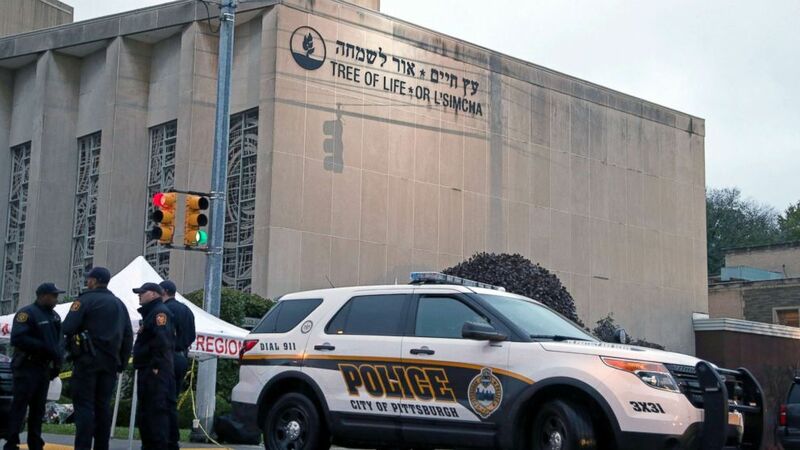 (Aaron Josefczyk/Reuters) Police officers guard the Tree of Life synagogue following Saturday's shooting in Pittsburgh, Oct. 28, 2018. "We’re unfortunately part of a club that nobody wants to be a part of, and we wanted to reach out to New Zealand in the same way everyone reached out to us,” Sam Schachner, president of the Tree of Life, told the Pittsburgh Post-Gazette. Following the Oct. 27 killing rampage at the Tree of Life, people from across the country donated money to help members congregations that use the temple. "Tree of Life members, and our friends who continue to comfort and bolster us as we recover, must now come together to support the Muslims of Christchurch," reads a statement on the GoFundMe page. "Please share this page with your families, friends and neighbors. Make a donation, and leave a kind message of hope to let them know that the entire world is with them."